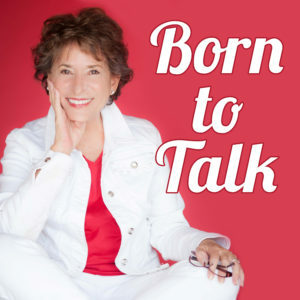 Join me for another edition of the Born To Talk Radio Show Podcast on Monday, January 28th from 1-2 PT with my guest Sylvester Van Buren, Owner of Mega Potato Stuffed Food Truck. Who is Sylvester Van Buren? Born in South Central Los Angeles, Sylvester’s mom worked 2 jobs to raise him before moving them to Mississippi for a better quality of life and new surroundings that was affordable and not infested with gang activity. This is where Sylvester found the love of playing football in high school. After high school, he joined the Marine Corps. He spent 5 years in the military before being Honorably Discharged at the rank of E-5 (Sergeant). The Corps enhanced great values in his life that he continues to apply to this day. After the Marine Corps, he transitioned into civilian life in 2001. He earned his California real estate license and continued his college education before his wonderful daughter was born in 2003. His daughter has been his inspiration ever since. His goal, since her birth, is to provide her with a quality of life. He spent 17 years in corporate America providing a stable life for her. Sylvester soon realized that if, a kid from South Central L.A. could survive the gangs of L.A., the drastic change to Mississippi culture, the Marine Corps and 17 years in corporate America while having full custody of his daughter…What else could he do in his life? What is his limit? He wanted more for himself, his daughter and mother who he now takes care of. Sylvester wants to make a positive impact in his community and help others along the way. That’s when he took a leap into entrepreneurship. 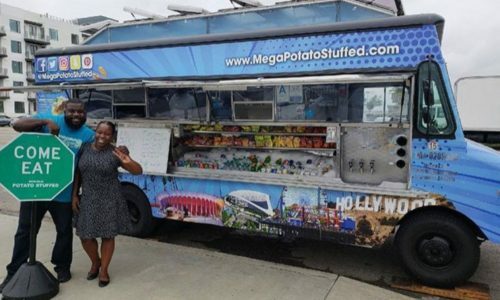 Inspired by other chefs, he started his company Mega Potato Stuffed, Food Truck. 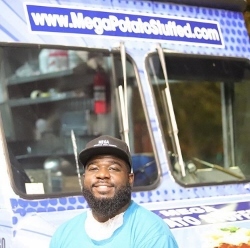 We will be talking about his motivation and his story from the military to running his food truck operation. Be ready to be inspired by his focus and commitment.